They destroyed all the evidence — but a hidden camera recorded everything they did. They thought they’d get away with it — but there was a hidden camera on them the whole time. Two men — a father and son — have just been punished for what a wildlife camera captured them doing in April 2018: The two men were skiing on Esther Island in Alaska when they came upon a bear den where a mother and her two cubs were still hibernating. 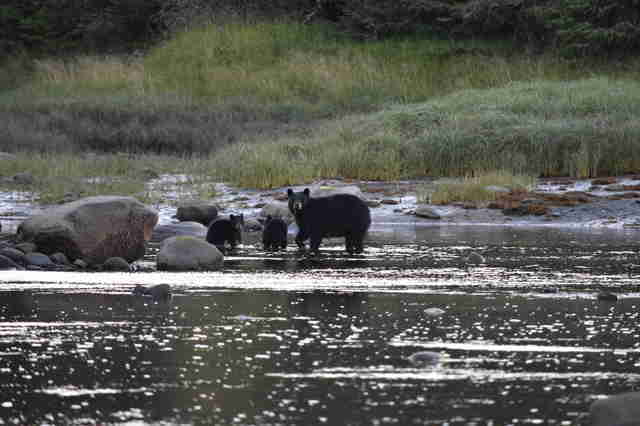 They shot and killed the mother bear in front of her newborn cubs. 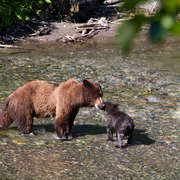 The cubs then wake up and can be heard shrieking in the footage, according to sworn testimony from Alaska Wildlife Troopers, before the men shoot and kill both cubs at point-blank range. 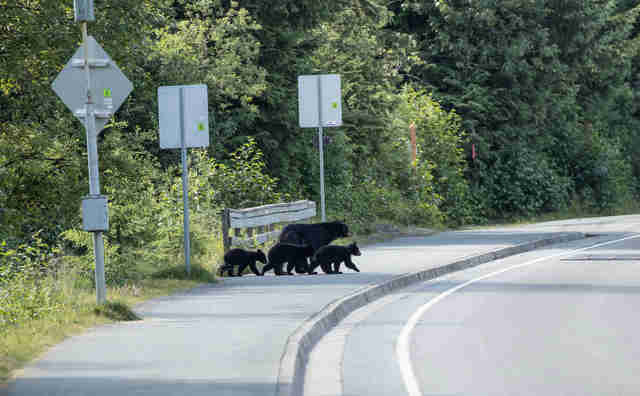 The men then appear to realize that the mother bear was wearing a tracking collar. 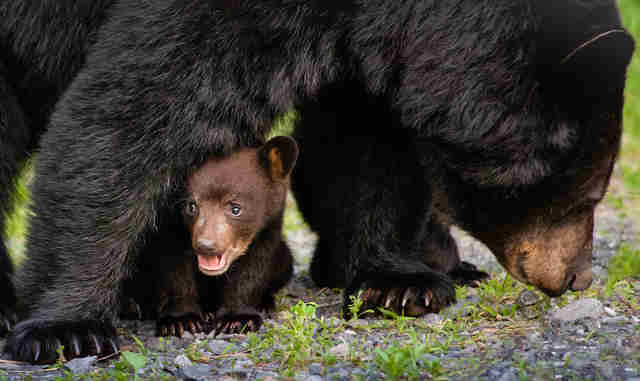 Since killing a bear who has visible cubs is illegal, they tried covering up what they'd done, destroying the evidence. They packed up the mother bear's body and skied away with it. Two days later they returned, put the bodies of the cubs in a bag, and skied away again. The men then lied to authorities and reported killing the mother bear as if it were a legal kill. “What we saw is that there were two bear cubs that were completely defenseless and were shot at point-blank range,” Assistant Attorney General Aaron Peterson, who prosecuted the case, told the court, calling the crime the “most egregious bear cub poaching case his office has ever seen." The father was sentenced to three months in prison, a $9,000 fine and his hunting license has been taken away for 10 years. The son was sentenced to 30 days of suspended jail time, community service and his hunting license has been taken away for two years. Hunting regulations in Alaska have recently been under debate, and this case makes animal lovers all the more determined to protect the animals impacted. “[We are] fighting to save America's black bears from the threat of systematic and sanctioned cruelty," Kitty Block, acting president and CEO of the Humane Society of the United States (HSUS), wrote after the news of the sentencing was released. "Black bears, grizzly bears and wolves are an integral part of America's landscape and are among our most precious natural treasures." You can help protect animals by making a donation to HSUS.